This week marked the passing of one of the most influential artists in sci-fi/fantasy art. 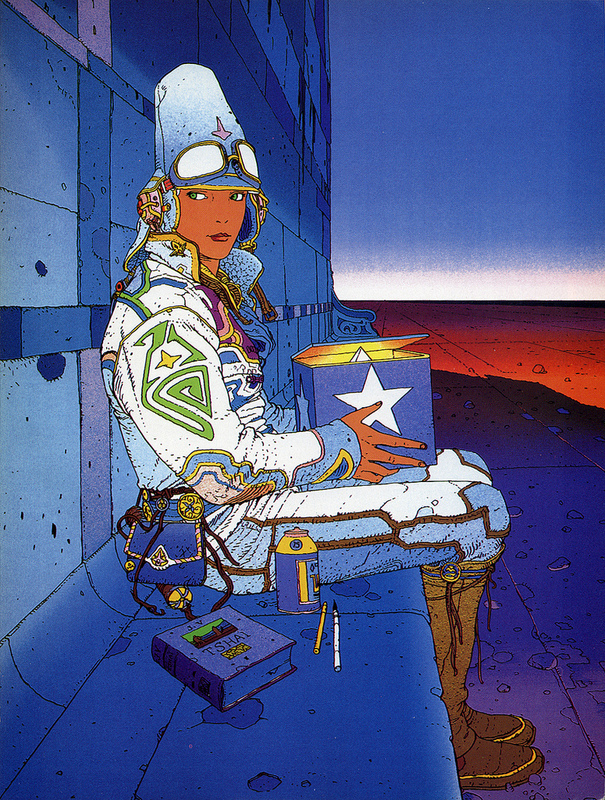 One of my biggest heroes Jean Giraud (Moebius) died at the age of 73. A prolific illustrator, his contributions to art and film are counted among many as inspiring and legendary. 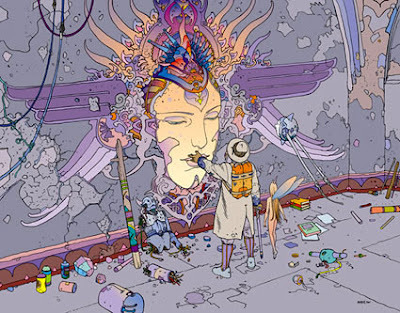 His work utilizes magnificent linear form with lush palettes and an endless imagination that can be beautiful, haunting and mind-bending. 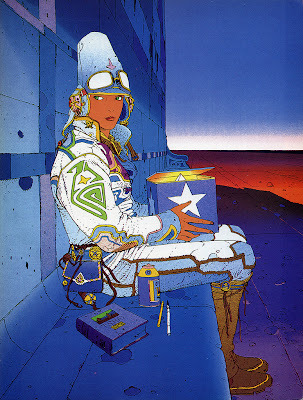 Never earning his deserved recognition here in America, Moebius created concept art for such well known films as Alien, Tron, Willow and Masters of the Universe. He and Alejandro Jodorowsky collaborated on the sci-fi comic Incal, and a never-realized film adaptation of Frank Herbert's "Dune", which was to feature Salvador Dali as Shaddam Corrino IV, and a soundtrack produced by Pink Floyd. The project eventually went on to become the David Lynch film we all know and love today.